Ask fellow campers about "Lake George Schroon Valley Resort" and nearby attractions. We stayed here for two nights on the way to Vermont for the 4th of July week. Our Progressive Industries surge protector would not run with the air conditioning on. It would shut down with the low voltage error code at 104 volts so equipment is not damaged. A call to the desk was answered saying that the manager said to expect these calls and to tell the customer that it is OK for us to run our generator. That is what we had to do. Two employees were dispatched with a volt meter. Between 116 and 118 on our site and three empty next to us. Were told transformers need to be installed in the campground. RV next to us ran his air with no trouble with a cheep Camping World surge protector in line. I could of unplugged ours but risk thousands of dollars in equipment damage. Out of common courtesy for my neighbor I would not start a fire in such a close site. I stayed here for free as part of my Thousand Tails membership. I have come to expect campgrounds like this from past experiences with them. We camped at Lake George Schroon Valley Resort in a Motorhome. Town of Bolton is charming with many outdoor restaurants and shops. We stayed for two night in this mostly seasonal RV Park. The site was gravel, very level, easily backed into with our 21' TT. It would easily accommodate a much larger rig. In fact, our seasonal neighbor had a 40' 5er on the twin to our site next door. The neighbors were all friendly and welcoming. The picnic table was in need of new paint. The campsite ring was a large tire rim. The site was clean. The sewer connection was not threaded and required a weighted donut. Great water pressure. The cable hookup was adequate and easily accessed on the utility post. The electric had 20, 30, and 50 amp options. The staff in the office were pleasant, helpful and gave their undivided attention despite renting phones and other new guests. The store was well stocked with essentials and emergency repair parts. We did not use any of the facilities in the park but did tour the spacious rec room with 4 TV's, many game tables, including table tennis and billiards. The pool was undergoing a replacement reclining and would be in service during our stay. It was not a disappointment as we were there to raft the Hudson River Gorge...we got plenty wet there! We camped at Lake George Schroon Valley Resort in a Travel Trailer. Great food and entertainment options in Lake George Village only 10 minutes away. Many recreational opportunities with the Adirondack State Park area, including several, outfitters that offered whitewater rafting in the Hudson River Gorge! Rec room is a a mess; bathrooms are dirty and have mold all over the place; pool is not maintained well, and there is no second pool--it has been filled in. It is a beautiful location, but is very poorly maintained by the owners, which is really sad because it could be such a nice place. We camped at Lake George Schroon Valley Resort in a Motorhome. This is now an Encore park and it seems like it's in better condition that previous reviewers said although the sites and roads are grass, gravel and dirt. We had a riverfront site with a path down to the river and it was beautiful. Lots of people were tubing. There's also a sandy beach area to enter the river. The site was nice and wide (could have fit another motorhome on one side between us and the next rig). This is a much quieter park than it's sister park, Lake George Escape, but we were invited to attend any activities there that we wanted to and they said there was a shuttle. The store was well equipped with food, camping supplies, cute camping related gifts as well as reasonably priced t-shirts. The ladies at the front desk couldn't have been nicer. Our confirmation from Encore showed a lower price than the computer showed, but we were immediately given the lower rate while they figured out what happened. I would give this place a higher rating, but the Wi-Fi is only free for 1/2 hour a day which I think is pretty petty for a big corporation. I think there are cable connections, but I used my own satellite. We camped at Lake George Schroon Valley Resort in a Motorhome. 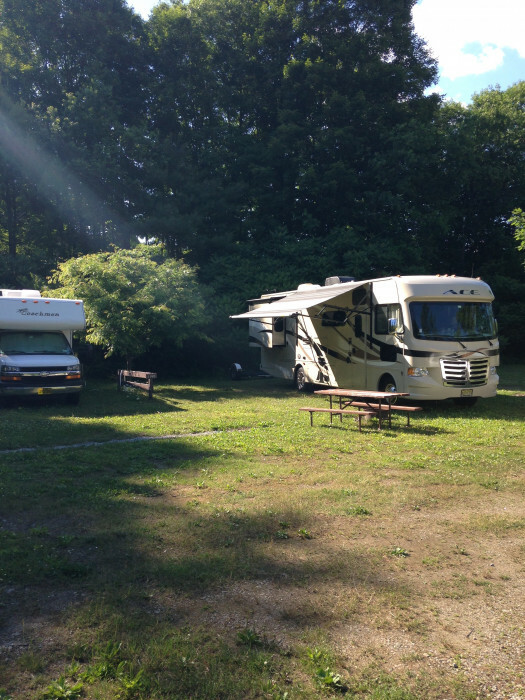 While this campground was quiet and clean, it is also very tight and in need of maintenance. The restrooms and showers were clean but the hall to the toilets is only one very small person wide. The showers are tiny as well. When we were there, it was dry so the interior roads were OK. The roads had very little gravel on them. The sites were tight, and they had a problem with our billing. 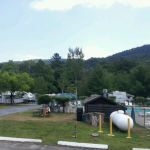 It was an OK experience but if you are looking for a nice place, try their sister campground, Lake George Escape. 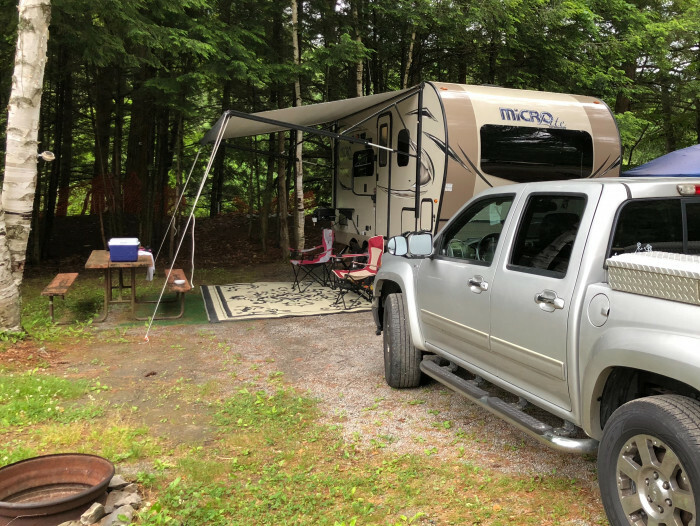 We camped at Lake George Schroon Valley Resort in a Fifth Wheel. This campground was not what we expected! It was given pretty decent "star" ratings by a major campground review guide, but that is not what we saw when we arrived. The sites were overgrown with weeds and they were also very small. The play area/field was also overrun with weeds. Tons of people complaining in the office saying they were placed in sites without hookups, but that is what they reserved and had already paid in full for. Office didn't care and were not offering refunds. We left the next morning and found another campground. I would not recommend anyone stay at Lake George Schroon Valley Resort! We camped at Lake George Schroon Valley Resort in a Motorhome. We stayed there for the annual Warrensburg Worlds Largest Garage Sale, and the site we had was perfect. This is the 4th year on a row we stayed there and really don't have any complaints. The camp store looks like everything was being sold out, compared to the previous owners who had it well stocked with supplies and souvenirs. We camped at Lake George Schroon Valley Resort in a Travel Trailer. This park does not begin to represent the ratings given it by Trailer Life. Upon our arrival, we found it has not been kept up, and there are numerous permanent residents that do not help its appearance. Our river site was dirt, no grass. One would not want to be there in the rain (mud). Wi-Fi was strange, doled out in 30 minute increments that one had to return to the office to renew, only if the office was open. Laundry facilities appeared marginal. This park is some 15 miles from Lake George village, not at all convenient. Our friends had a pull-thru site that was very difficult to get into and out of. This is not a "big-rig" park. Pool was drained. Water pressure too low to use without our on board pump. We camped at Lake George Schroon Valley Resort in a Fifth Wheel. Older park but in good shape. Helpful staff. Sites are a mixture of dirt and gravel. Gravel interior roads. Sites are fairly level. Some shade. Bathrooms are older but very clean and plentiful. 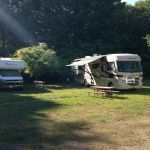 The campground is in the "boonies" but does have traffic noise from I87. WiFi is not full time, but 15 minutes 4 times a day. Cell phone is Verizon country. (AT&T no signal) We camped at Lake George Schroon Valley Resort in a Motorhome. This is a decent campground . Pull through sites are of acceptable size . Gravel roads make the cg dusty. Electrical voltage is at the bottom of what's acceptable (50amp). The river access to the Schroon river is a great feature . Lake George is a pristine lake . We will return We camped at Lake George Schroon Valley Resort in a Motorhome. We have a dually/36' high-profile fifth wheel. Our back-in site was quite large but narrow roads left little space to get positioned - luckily a Good Samaritan staff member, who was a trucker, backed my huge rig in. And even for him it took many forward and backward manoeuvres!!! Many other sites were small and closely situated. The park was in woods - lovely if that's what you like. Some sites were more open and pull-through. Better all round. A grubby, run-down park which needed renovation but despite that, nearly full - no competitors to worry about. One snowy, antenna TV channel. Voucher limited WiFi (4x15 minutes a day)worked well - better than nothing. The staff were friendly and helpful but one was po-faced and off-hand (owner?) Restrooms were primitive - not used, just inspected. Very expensive and not good value. Would not visit again - not recommended. We camped at Lake George Schroon Valley Resort in a Fifth Wheel. Lovely place. We had a spot right on the river.. good size lot. Owners are very friendly! Nice pools. Clean campgrounds, clean river! Will come again! We camped at Lake George Schroon Valley Resort in a Tent Trailer. WOW - What a great time! The staff was very accommodating! The pool was a little busy, but large enough to hold everyone. The store was very nice, the food was great and reasonably priced. We traveled here with a Girl Scout group and had a great weekend! Can't wait to go back! 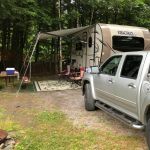 We camped at Lake George Schroon Valley Resort in a Campground Cabin. This a nice park, easy off and on to the Interstate if you need a spot for a couple of days. However for the second year in a row we went there under the assumption that they would honor Passport America, and for the second year in a row, they have changed their restrictions with Passport America, only after the directory has been published. This time there was a twist, not only would they not honor Passport America , they will no longer honor Good Sam, and as a further twist, the week we chose to drop by has been changed from an off peak time to a peak period. I doubt the 3 other campers who came in that day would call it peak period. As a result of their changes our rate was an $11.00 increase over last year. If not for their changes we may have stayed longer. It is a nice campground, but it is not worth $38.00 a night. We camped at Lake George Schroon Valley Resort in a Motorhome. We camped here for Labor Day Weekend. They had activities and music throughout the weekend. Overall it was a good visit. But the staff (as previously reviewed) was not friendly at all. One in the office was sarcastic and not friendly, as well as the craft ladies. The crafts were scheduled on the hour, but if you showed up at ten after, they gave you dirty looks and were already packing up craft supplies. Very nice campsites and Wi-Fi throughout the camp-which my Techy Husband loved. The bathrooms were somewhat dirty due to massive rainstorms we had. The campground was reasonably quiet. 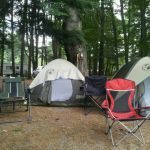 We camped at Lake George Schroon Valley Resort in a Tent. Are you affiliated with Lake George Schroon Valley Resort ?